The trial of former Serbian leader, Slobodan Milosevic, would end in a guilty verdict on all 66 counts of genocide and war crimes, had he not died in prison. 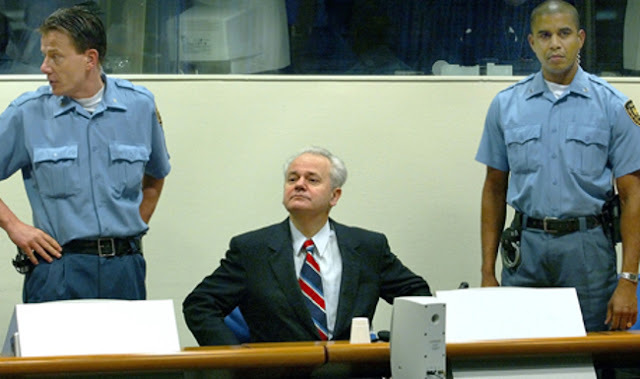 Slobodan Milosevic was charged by the International Criminal Tribunal for the Former Yugoslavia with 66 counts of genocide, crimes against humanity and war crimes in indictments covering war in Bosnia, Croatia and Kosovo as Yugoslavia disintegrated. On 11 March 2006, Milosevic died in his cell while being tried for war crimes at the Hague Tribunal. He suffered from a heart condition and high blood pressure. He died only months before a verdict was due in his four-year trial at the Hague. No further action was taken on the case. However, the Trial Chamber, on 16 June 2004, rejected a defense motion to dismiss the charges against Slobodan Milosevic for lack of evidence, thereby confirming, in accordance with Rule 98bis, that the prosecution case contains sufficient evidence capable of supporting a conviction on all 66 counts, including the genocide against Bosnian Muslims. (5) the Accused was a superior to certain persons whom he knew or had reasons to know were about to commit or had committed genocide of a part of the Bosnian Muslims as a group, and he failed to take the necessary measures to prevent the commission of genocide, or punish the perpetrators thereof."